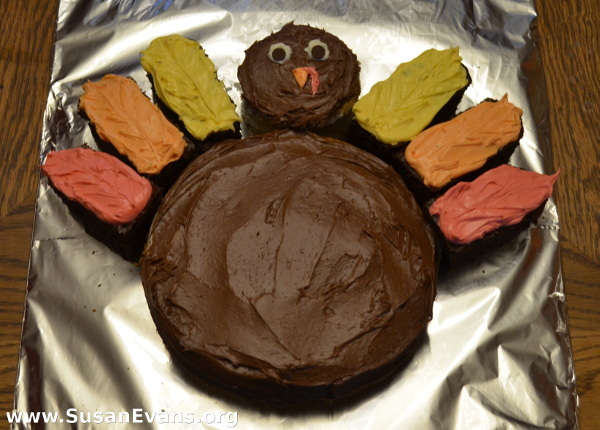 This entry was posted on Monday, November 6th, 2017 at 8:00 am	and is filed under Cooking and Baking. You can follow any responses to this entry through the RSS 2.0 feed. You can skip to the end and leave a response. Pinging is currently not allowed. Absolutely adorable! I think my kiddos would really love making this together. My kids loved how it turned out. The feathers and the head could just be grabbed and eaten without having to cut it. Beautiful! Looks like you had fun with it too! Thanks for the tip on cold cake being easier to work with, it’s so easy to get frustrated if you skip this step! Room temperature cake is really hard to work with, as it crumbs up, and the icing doesn’t spread well. So adorable! 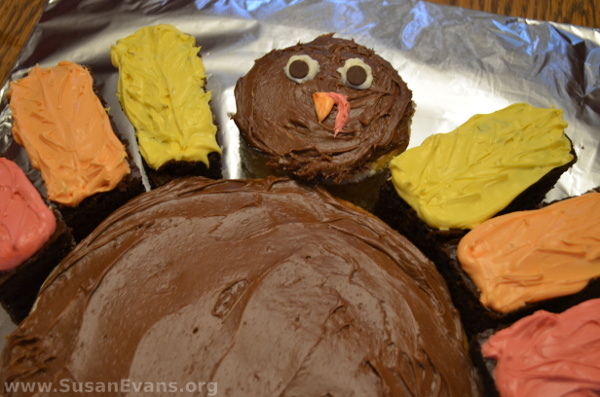 I think I found the dessert I’ll be bringing for Thanksgiving! Thank you for the idea! It’s perfect for this holiday! Susan- super cute! My kids would love this…but I don’t think I could make it as cute as yours! It’s not that hard to make. Yours would look great! Cute! And yummy chocolate. 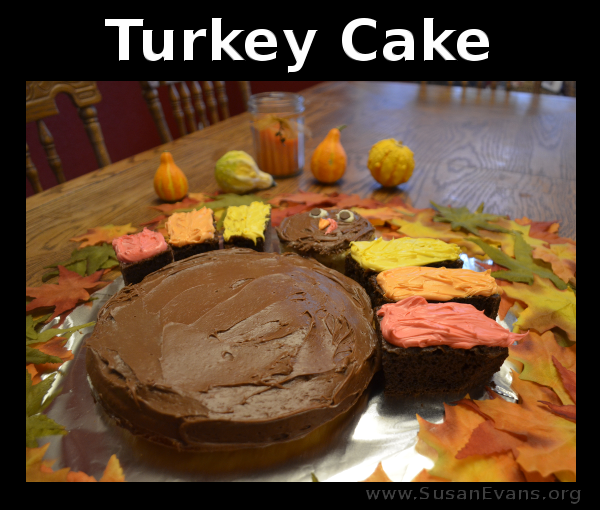 If I wasn’t such a lover of pumpkin pie, I might try this at Thanksgiving! so cute ! your posts, your drawings and now your baking is entirely creative. I’m glad you like it. I love being creative! That’s right. Chocolate makes everything better. 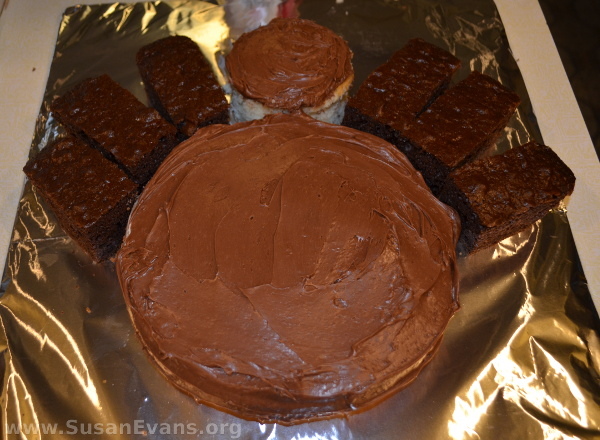 What a fun idea for a thanksgiving cake! Glad you like it! It tasted good, too!